Find out if Petpals Direct Pet Insurance made it into our list of the top 10 pet insurance providers for dogs. What types of pet insurance does Petpals Direct offer? Does Petpals Direct insurance cover dental treatment? Does Petpals Direct insurance covers pre-existing medical conditions? How much does pet insurance from Petpals Direct cost? Are discounts available for Petpals Direct pet insurance? How to make a claim on Petpals Direct pet insurance? This is a per-condition policy which offers £3,000 per condition for vet bills (excess fee of £95 per condition for dogs and £60 per condition for cats applies). This is a Time-Limited policy which offers £3,000 per condition per year for vet bills (excess fee of £95 per condition for dogs and £60 per condition for cats applies). This is a Time-Limited policy which offers £1,000 per condition per year for vet bills (excess fee of £95 per condition for dogs and £60 per condition for cats applies). All policies also include £50 for euthanasia and £1m for third party liability for dogs only (including legal costs). A Lifetime insurance policy is also available through Pet Protect. To learn about what Per-Condition, Time-Limited and Lifetime insurance policies mean, take a look at our Pet Insurance FAQs. Petpals' top limit of £3,000 for vet fees per condition is low compared to some of the top pet insurance companies. See how Petpals Direct compares to other providers in our list of the best pet insurance companies. All Pet Pals Direct policies include cover for non-cosmetic and non-preventative dental injuries caused by an accident. No. You may still be able to cover your pet with Petpals Direct if it has pre-existing conditions, but any illness, injury or symptoms your pet had before the start of the policy will not be covered. Customers can pay their premiums with interest-free monthly instalments. Petpals Direct can pay your vet directly if you prefer (and your vet agrees). Quidco is offering £25 cashback for customers purchasing Petpals Direct pet insurance through the Quidco Compare Pet service. On Reviewcentre.com, Petpals Direct has a rating of 1.3 out of 5 stars, based on 55 reviews. 7% of customers who left reviews would recommend the service. Independent financial researcher Defaqto rated all three Petpals Direct policies as 1. Star (rating is for Cat Insurance. No rating was available for Dog Insurance). Step 2: Download a claim for online. Step 3: Fill in, sign and date the form. Step 4: Ask your vet to fill in the relevant sections of the form and sign it. Step 6: Petpals Direct aim to process all claims within 20 working days. They will then either pay you or your vet directly, according to your policy agreement. If you require any further assistance, you can contact Petpals Direct’s customer helpline on 0345 6090191. Lines are open 8am-6pm Monday-Friday. 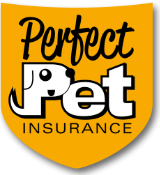 Petpals Direct specialise in pet insurance, and so offer no other services. Learn about the features of pet insurance from Pet Protect and whether it's right for you.